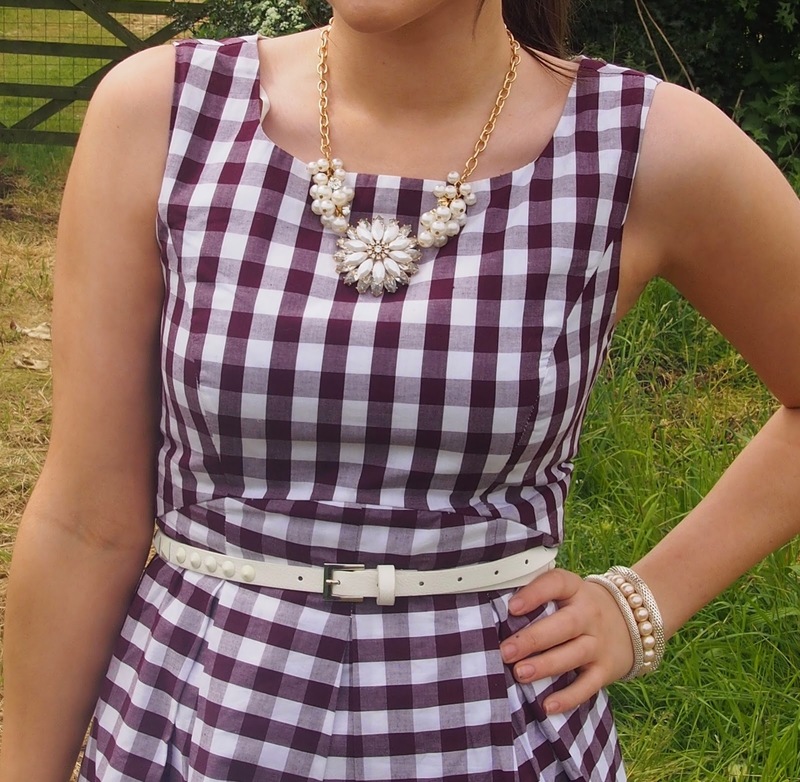 Style for less #2 - Get your gingham kicks for only £4.99! Hope you've had a great bank holiday weekend! 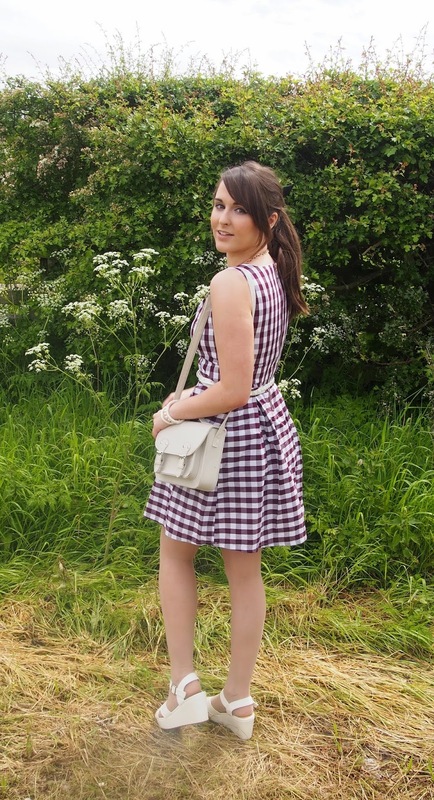 We thought we'd make the most of todays bank holiday sunshine with a little trip to Otley, which I decided was the perfect opportunity to take my new gingham dress* from hidden fashion out for a spin! I have to say I really cannot believe what a bargain this dress is! For £4.99 I wasn't expecting much but I can honestly say the material is fantastic quality! It doesn't feel cheap at all and I just love it's feminine classy style! 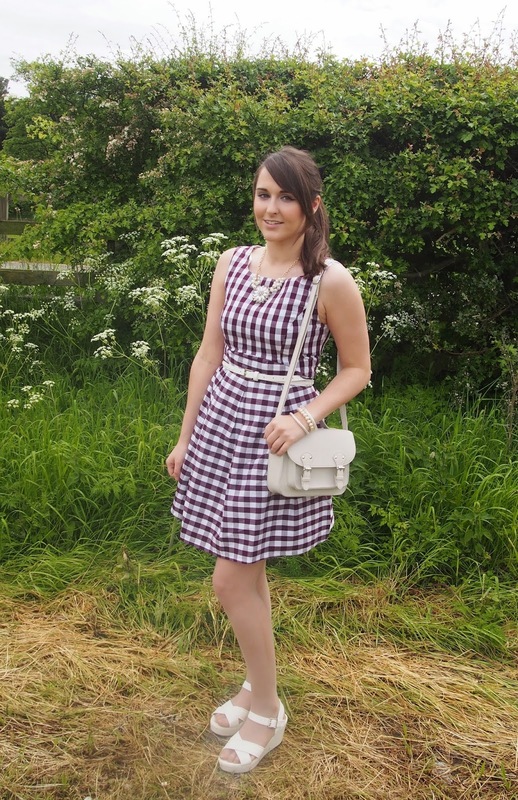 Not to mention it's one of my favourite colours (burgundy) PLUS it's gingham print which like many, I have been obsessed with this year!! I decided to try and create an affordable look with this lovely piece - so the rest of the items featured are equally budget friendly! The shoes were just £10 from Primark, necklace was £7.99 from Newlook, Satchel was £6 from Primark and belt also from Primark was just £2. This brings you to a total of £31 including the dress which really isn't bad for an entire summer look! Thank you so much! It was perfect for a sunny day out with the BF! Still obsessed with how nice that dress you wore to the baftas was! So elegant and prettyyyy! I deffo need to have a look on "wish want wear!" such a cute outfit! bargain of a dress! I am sooo jealous that you get to shop at Primark! 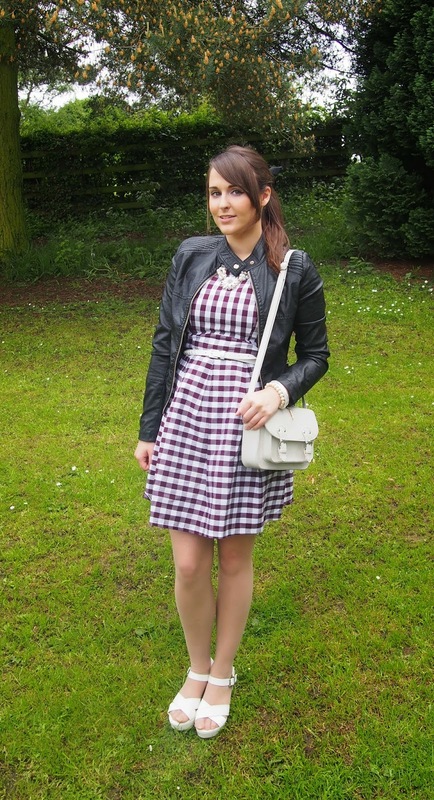 I always see the cutest pieces from there on bloggers! I absolutely love your dress. Can't believe what a great deal it was! Hahaha but babeee they're coming to the USA soon don't worry!! I'm always jealous of everyones charlotte russe and brandy melville pieces!! I love love love your shoes, I'm so desperate for a pair!